German made , straight pull bolt system, this Blaser CISM model is specifically designed for international military championship events; it has a 10 rounds magazine and is made in 5,56mm, 6 mm BR , and .308 , precision is usually 1/2 MOA, the locking system is unusual, when pulling or pushing all the way it unlocks or locks by means of lugs around the chamber organised like a "skirt". 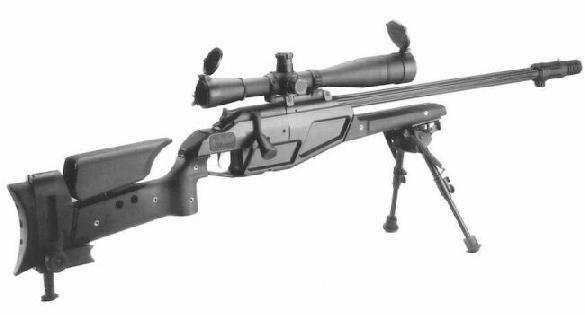 when bolt is fully in battery, locked but bolt lever is half way , the rifle is on safe. the barrel is like the Ultima Ratio a modular system easy to interchange with a suppressed one. the straight pull system allows for quick follow up shots.